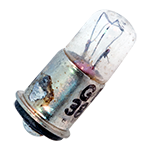 GE or CM 253 subminiature lamp. 2.5v, 0.35 amp. 100 per box; 10 per box. Chicago Miniature #3150; T-1-3/4 midget bulb. 5v, 0.30 watts, 0.060 amps. 0.63:L. NSN: 6240-00-491-0402. 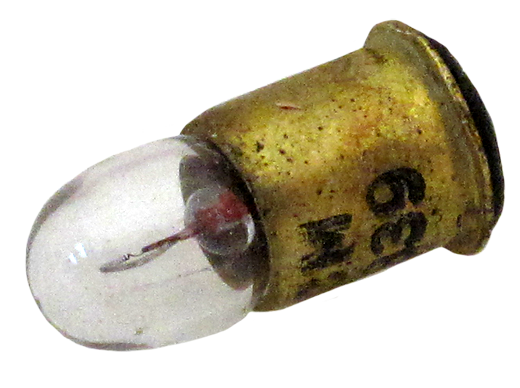 General Electric 387 midget flange bulb. 28v, 0.04 amp. Packaged in boxes of 100. Flashlight lamp. 1.9v, 0.6 amp. Flange base. Flashlight lamp. 2.4 volt, 0.35 amp. Mini flange. P13.5S. Various brands* available. Flashlight lamp. 2.7v, 0.15 amp. Flange base. Chicago Miniature miniature lamp. T-2 miniature flange base. 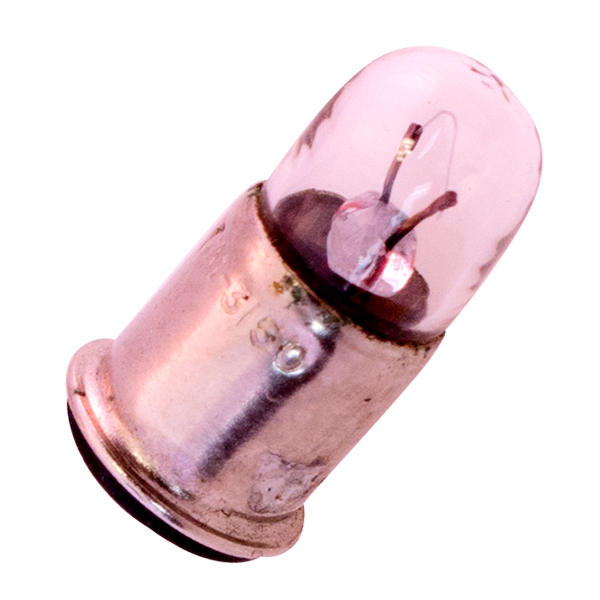 Flange flashlight bulb. 3.8v, 300 ma. Various brands. Westinghouse flange base lamp. 8.63v, 0.5 amp, 4.32 watts. Flange base P13.5S. Sylvania exciter lamp. 1A T5 - 7, 1A - 6v, T5 - C8FIL, S.C. Cand. Pref. 30.17mm flange diameter. 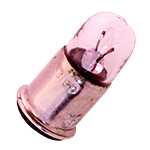 Westinghouse flange base micro illuminator lamp. 2 contact. 6.5v, 2.75 amps. 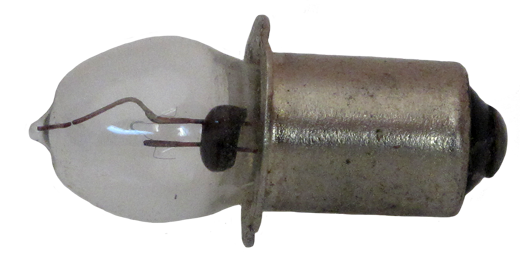 Westinghouse T5 bulb. 4 volt, 0.75 amp, 3 watt. SC PF base. Miniature bulb P15S base. 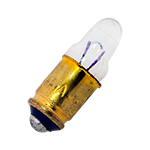 5.9v, 6.36 amp, 37.5w RP11 single contact pre-focus (P15s) base, 0.0 MSCP, C-6 filament design. 200 average rated hours, 2.25" maximum overall length. 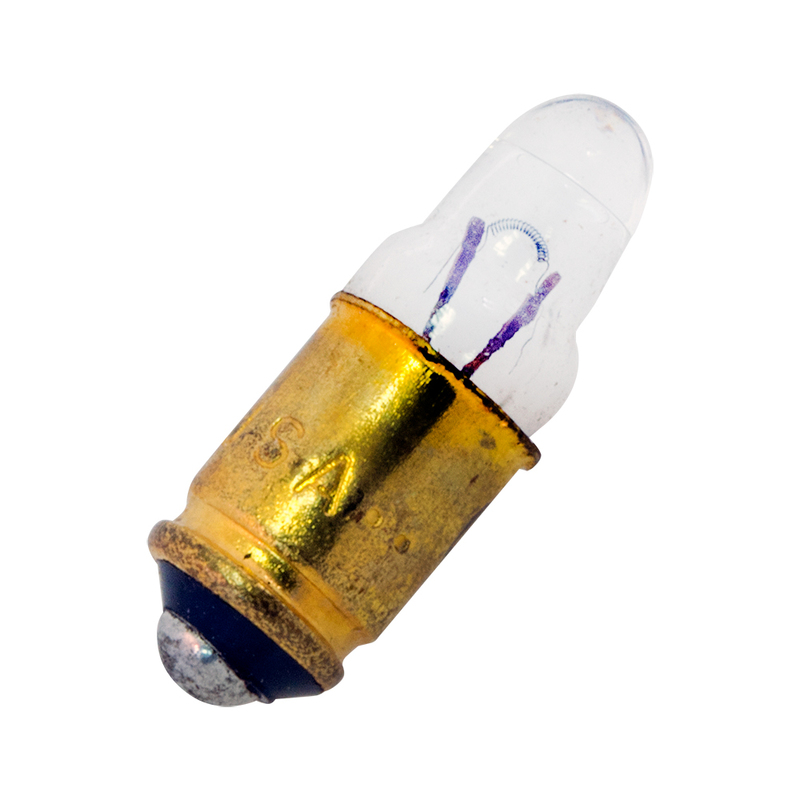 T5 bulb. 6 volt, SC PF base. OS filament. Miniature bulb. 6.2v, 4.13 amp, 25.61w, RP-11 single contact pre-focus base. 200 average rated hours. 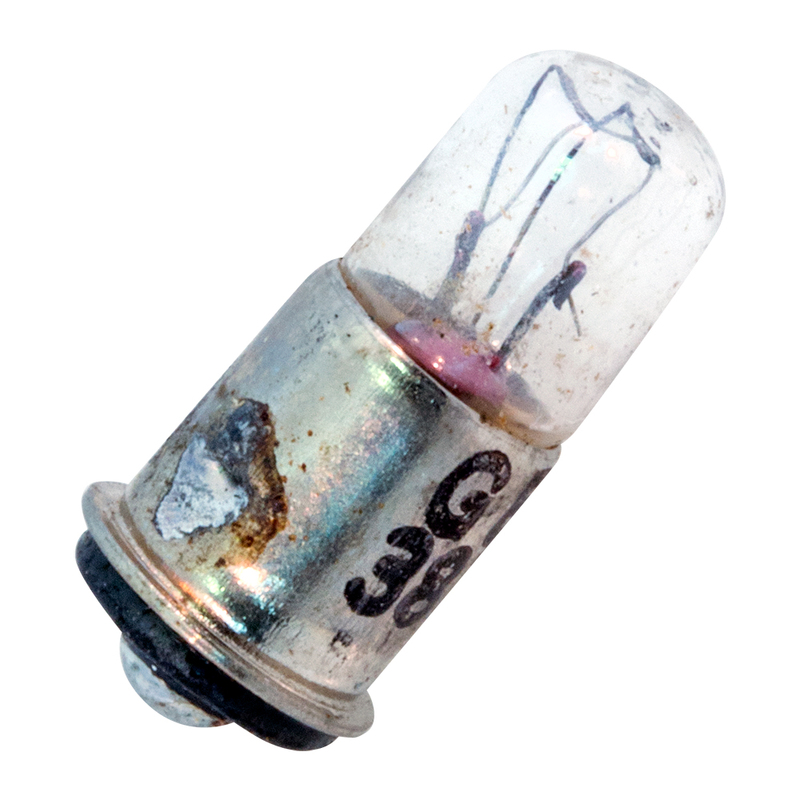 General Electric miniature bulb. 11v, 11 watts. Flange base. P30d. Two contacts. 0.985" O.D. Miniature bulb. 12v, 0.5 amp. Clear. Flange base. 0.975" diameter x 1.872" overall length. Made in Japan.